Heat a large nonstick skillet over medium-high heat. Add beef, onion and garlic; cook, stirring frequently, breaking up meat with a wooden spoon as it cooks, about 5 to 7 minutes. Stir in crushed tomatoes, tomato sauce, salt, oregano, basil and red pepper flakes; simmer 5 minutes to allow flavors to blend. Spoon 1/3 of beef mixture into a 5-quart slow cooker. 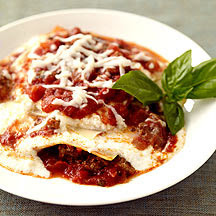 Break 3 lasagna sheets in half and arrange over beef mixture; top with half of ricotta mixture. Repeat with another layer and finish with remaining 1/3 of beef mixture. In a small bowl, combine remaining 1/2 cup of mozzarella cheese and Parmesan cheese; sprinkle over beef mixture. Cover and set aside until cheese melts and lasagna firms up, about 10 minutes. Yields 1/6th of dish per serving. To boost your vegetable intake, add a can of zucchini in tomato sauce to the meat mixture. You can also add 2 cups of sliced shiitake mushrooms to the beef mixture. In a small bowl mix cumin, oregano, cayenne and salt. Sprinkle chicken breast pieces with spice mixture. Fill the bottom of the crockpot with chopped onions. Place chicken breasts on top of the onions. Add in beans, garlic, serrano, green chilies and chicken broth. Cook on low for 8 hours or high for 4 hours. 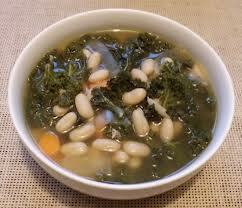 What are your favorite cold weather foods? I’m usually partial to soup, but I’d love to get some new ideas! 1. 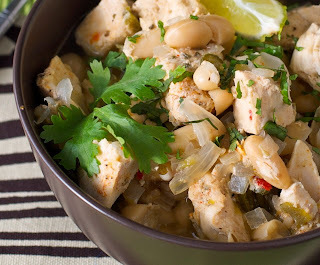 Place chicken breasts into crock pot. 2. Pour chicken broth over chicken breasts, until covered. Set crock pot on low for 6-8 hours. 3. Take chicken out of crock pot and shred with a fork. 4. Mix chicken with hot sauce. 5. 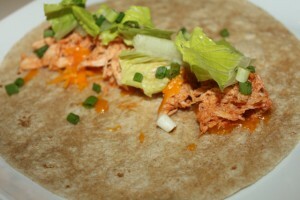 Place chicken, cheese, lettuce, and green onions in tortillas. Question: What is your favorite way to use your crock pot? Ok, so I am seriously obsessed with this meal! It is absolutely delicious and you can make it in the crock pot! I have friends that do not like beans so they omit them and add green peppers, mushrooms or any other veggie you would like! You can really make it your own! Just remember to follow the correct portion sizes so you don't over indulge. It's easy to do with this one. Grease or spray a pie pan. Spread in pan and bake at 350F for 30 to 40 minutes. 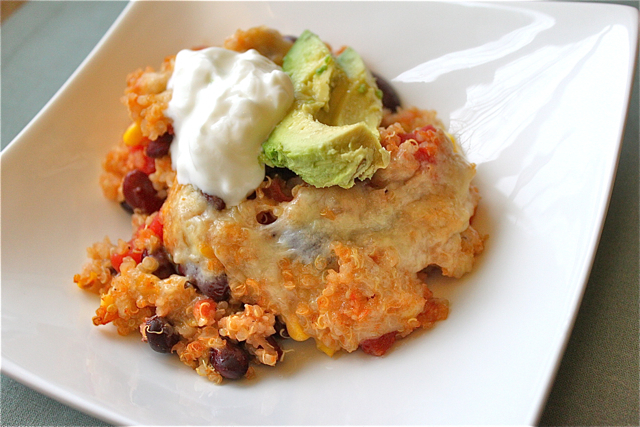 Combine all ingredients in a large crock pot except cream cheese & sour cream. Cook on low heat for 7-8 hours. Half an hour before serving, shred chicken, stir in cream cheese and greek yogurt. Top with shredded cheese, avocado, and tortilla strips (or broken up tortilla chips). 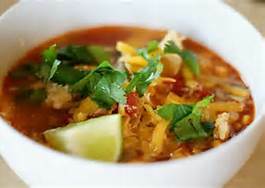 Question: Have you ever had chicken tortilla soup? When I came across this awesome recipe from my coach, Melanie Mitro's page, I knew I had to try it. 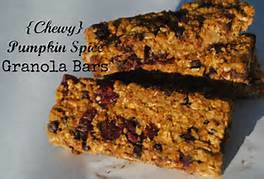 So here it is: these babies will fill you up, satisfy that sweet tooth, are portable for an on-the-go snack, AND taste like Fall all rolled up into a little granola bar. Best part? You don't need to be a Top Chef to mix these up - that's really all there is: mixing, oh and a little pressing. Let's rock! Preheat oven to 350 degrees. Grease an 8 by 8 baking pan with cooking spray and set aside. Chop your dark chocolate into small pieces. In a large bowl, combine oats, spices and salt together. Set aside. 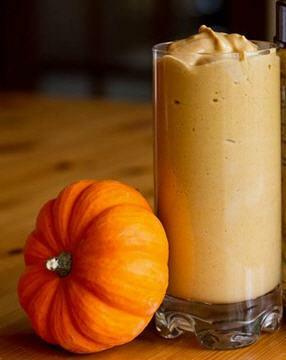 In a medium bowl, whisk pumpkin, applesauce, honey, and vanilla extract until smooth. Pour over the oats and stir well, until all of the oats are coated. Stir in the dark chocolate and almonds. Evenly press oat mixture into prepared pan. Bake for 30-35 minutes or until golden brown. The pumpkin keeps the bars moist, so make sure they are golden and set-you don't want them to be under baked. Remove from oven and let cool on a wire rack for 10 minutes. Using a sharp knife, cut into bars. Remove from pan and let cool completely. Heat 1 tablespoon of the oil in a 4 or 5-quart heavy pot or Dutch oven over medium heat. Add sausage and cook, working to break into bite sized pieces, until lightly browned, about five minutes. With a slotted spoon, transfer the sausage to a plate, leaving any rendered fat in the pot. Add the remaining olive oil to the pot, increase the heat to medium-high, and add the onion. Cook, stirring frequently, until fragrant and beginning to soften, about 2 minutes. 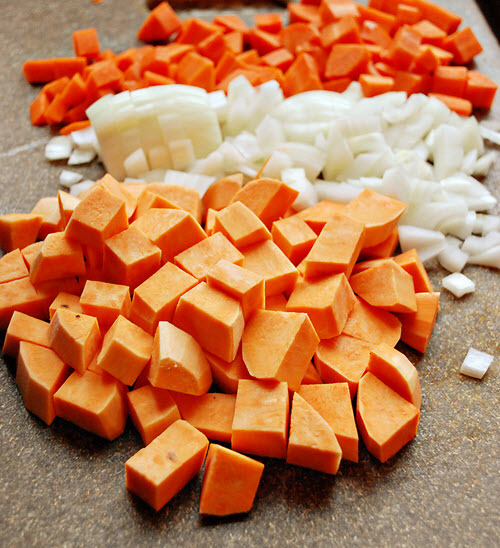 Add the carrot and celery and cook, stirring frequently, until they begin to soften and brown, about 2 minutes more. Be sure to scrape any brown bits from the bottom of the pan. Stir in the garlic, pepper flakes, salt & black pepper and cook, stirring, until the garlic is fragrant, about 1 minute more. Add the chicken broth and bring to a boil over high heat. When the broth reaches a boil, reduce the heat to medium, add the sausage along with any collected juices, and HALF of the beans. Mash the remaining cup of beans with a fork or wooden spoon and add them to the pot, stirring to distribute. Stir in the kale, adjust the heat as necessary to maintain a gentle simmer, and simmer until the kale is tender, 15 to 20 minutes. (I cover the pot loosely during this step to prevent too much reduction in the broth.). Stir in the lemon juice and zest just before serving. (It's even better the next day!). 1. Thaw fish, if frozen. Rinse fish and pat dry with paper towels. For stuffing, drain broccoli, pressing out excess liquid. Combine egg, half of the cream cheese, and the Parmesan cheese. 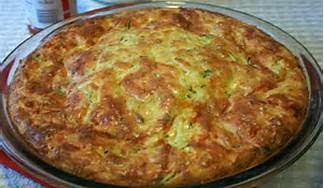 Stir in broccoli and stuffing mix. Spoon one-fourth of the stuffing onto an end of each fillet. Roll up, securing rolls with wooden toothpicks. Place fish in a greased 2-quart square baking dish. Bake, covered, in a 350 degree F oven for 30 to 35 minutes or until fish flakes easily with a fork and stuffing is hot. 2. Meanwhile, for sauce, in a small saucepan cook remaining cream cheese, milk, and wine until heated through, stirring often. Serve sauce over fish. Makes 4 servings. 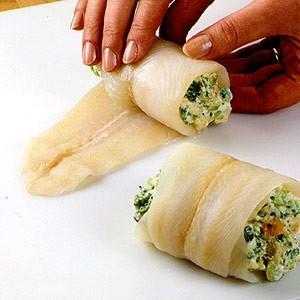 For a quicker fish recipe, cover the dish of rolled fish with vented plastic wrap and microwave on 100 percent power (high) for 8 to 10 minutes, rotating the dish a half turn mid-way through cooking. The rich, savory cream cheese filling is the perfect complement to lean sole in this fish dinner recipe. I sometimes have a hard time watching my husband eat his ice cream desert every night after dinner!! I try to eat 5 to 6 meals a day with the eat clean diet and I try to have something that is high in protein in the evenings to get me through the night! and that seems to do the trick for a crunch and salty treat!!! 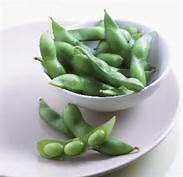 edamame contains 8 grams of fiber in every cooked cup. For a man, this is over 23 percent of his recommended daily intake; for a woman, it's 28 percent of her requirement per day!! Sometime I even have egg whites since they are high in protein and keep me from feeling starving in the morning!! But when that craving hits for something sweet and you are a ICE CREAM Fan!! Try this !! 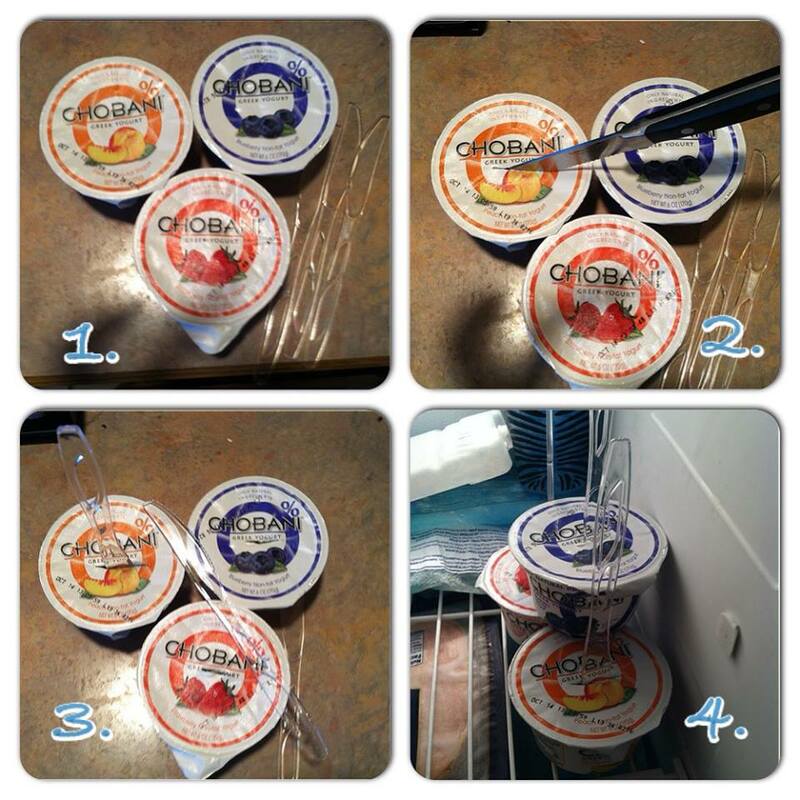 Take a cup of Greek yogurt and follow these simple steps!! After the yogurt has frozen I left them in the freezer a day. You will need to run them under hot water a little to loosen up the yogurt from the sides of the container. Step 3 remove the foil and step 4 pop your healthy treat out of the container and ENJOY 18g of protein !! This is super easy and kid friendly too!! Ready for football season and have no idea what to make for your friends?? Try this!! I know it has a little BACON but it is worth it for guests !! Rinse quinoa in a mesh strainer under cold running water. Add quinoa and chicken broth to a medium saucepan and bring to a boil. Reduce heat to a simmer, place a lid on top and cook until broth is absorbed and quinoa is tender, about 15 minutes. Remove lid and let cool slightly. Preheat oven to 350 degrees. In a large bowl combine remaining ingredients and stir to combine. Add cooked quinoa then stir to combine. 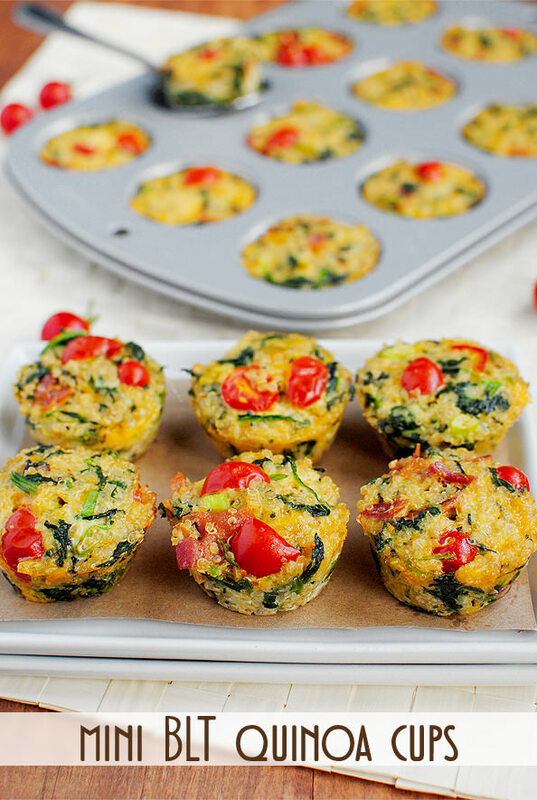 Spray muffin tins very well with nonstick spray, then fill to the top with quinoa mixture, smoothing the top with the back of a spoon. Bake for 15-17 minutes, or until golden brown on top. 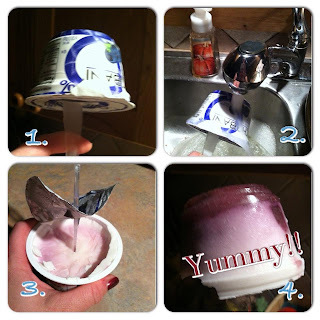 Let cool 5 minutes then take a spoon to go around the edges to pop out. What Are the Beachbody Challenge Packs? It’s simple. Beachbody’s mission is to help people live healthier and more fulfilling lives. To do that, they have figured out that there are three things that most people need in order to hit their goals when it comes to health and fitness. First, they need a fitness program. Next, they need a nutrition plan. Lastly, they need support and accountability. These new Beachbody challenge packs combine all three of those components to give someone the highest probability for success! Let’s take a closer look at what each pack includes. What’s Included with A Beachbody Challenge Pack? Each program includes a fitness program of your choice (fitness), Shakeology (nutrition), a 30-day trial to the Beachbody club membership (support) and FREE shipping. In addition to everything listed above, you will also get FREE coaching and support from me! 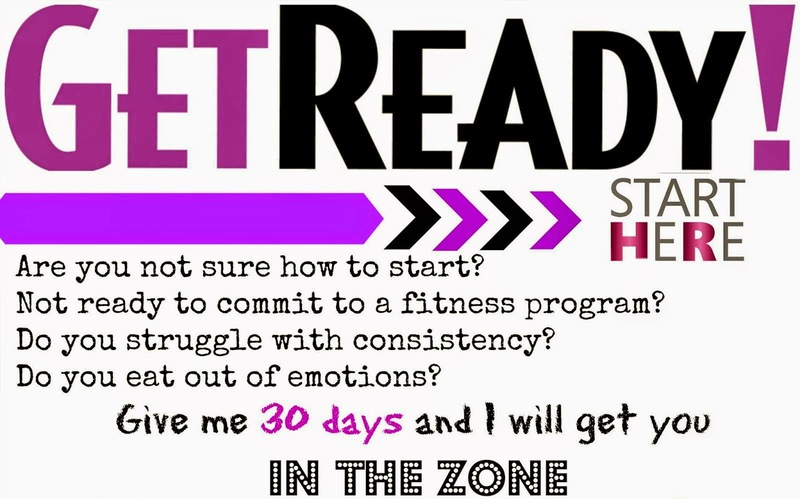 I have been through many of these programs and will help you throughout your journey! 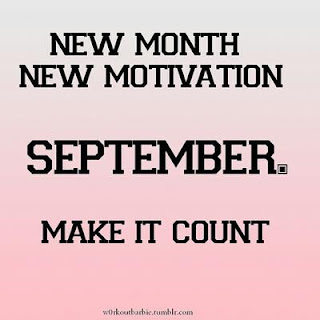 **Don’t have a Team Beachbody Account yet? Click HERE !! 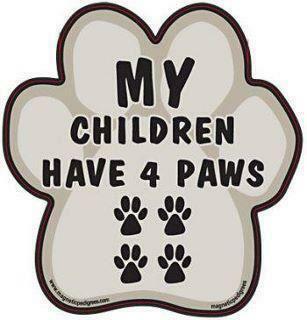 And sign with a free membership!! Beachbody Challenge Packs Save You Money! As you can see, when you bundle a program and Shakeology in one of the Beachbody Challenge packs you will be saving some big money as opposed to buying each item individually. Not only will you be getting free shipping on your monthly Shakeology order but you will also get free shipping on the workout program. So even though the advertised savings shows that you will save $25-$45, it’s more like you’ll be saving $45-$70 depending on which pack you get! Okay, so you’re in. You’ve made the decision in your head to go for it and you’ve got one of the Beachbody challenge packs all picked out. But, wouldn’t it be cool to go through the challenge with some friends or family members? 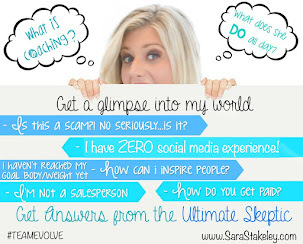 You could create a private Facebook group and all hold each other accountable to your goals! And what if Beachbody would pay you for getting others involved with a 60 or 90 day challenge? Well they will! As a special bonus opportunity, only available when you purchase one of the Beachbody challenge packs, you can start a Team Beachbody Coach business for free! That’s right. The normal $39.95 sign-up fee is being completely waived when you purchase a challenge pack! How awesome is that?! Oh, and just so you know, if you get 5 of your friends to join you in, let’s say, a P90X challenge, Beachbody will pay you $650 over the course of the 90 day challenge! 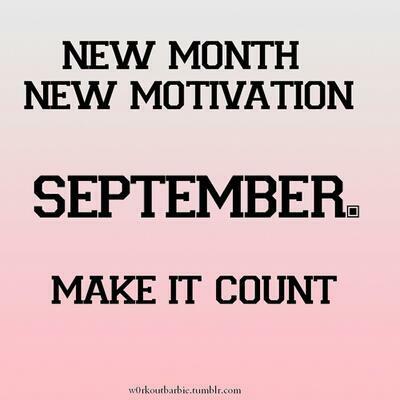 Now how’s THAT for an incentive to get going on your fitness goals? Beachbody Challenge packs have exploded my coaching business and if you’re serious about earning some extra income from home, I know they can do the same for you. Fitness + Finance. How awesome is that? Click HERE to listen to more about the coaching!! Hamburger helper reminds me of babysitting when I was a teenager. 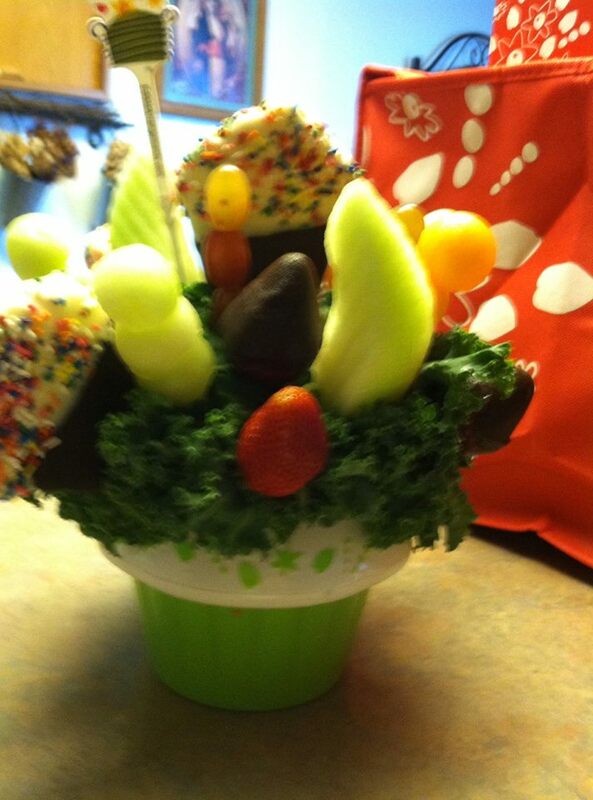 Its a crowd pleaser, even for small children, and easy enough for a teenager to prepare. Well who knew it was just as easy to prepare without the pre-packaged box of ingredients? Heat olive oil in a large skillet over medium-high heat. Add the ground turkey and cook until browned, breaking meat apart with a wooden spoon while it cooks. 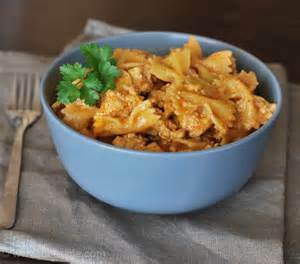 Question: Did you eat hamburger helper growing up as a kid? My Birthday was on Thursday and I received a beautiful edible arrangement in the mail from my friend Mel!! As deconstructed the arrangement to put the fruit and chocolates into a zip lock bag to keep them fresh today I had a thought about what to do with the beautiful yummy kale in the bottom of the cup!! I love to use my slow cooker and with this cold weather we are having today I decided to make a stew!! Now I had chicken breast defrosted and Kale...... So good old google to the rescue I put into the search chicken breast and kale in the crock pot and here is one of the recipes that came up!! I have all the ingredients here at the house so I am going to give it a try!! I will let you know what my Husband and I think!! 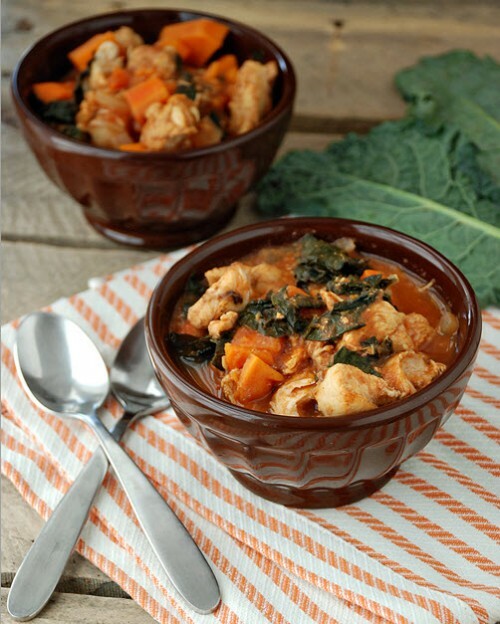 Wash chicken and cut into chunk size pieces and place into the pot of a slow cooker uncooked. On top of chicken add diced onion, cubed carrots, cubed sweet potato, garlic, chicken broth, tomato, paste, balsamic vinegar, mustard, and bay leaves. Stir to mix everything together. Place slow cooker on high heat for 4 to 5 hours or until carrots and sweet potato are tender. In the last hour, add kale and stir to combine. If you don’t like your chicken chunky you can shred the chicken at the end of cooking by using a fork or the back of a spoon. Its super easy to do with the cooking process. I’ve had it both ways and both are delicious. Taste the stew and season with sea salt and fresh pepper to taste. Remove bay leaves, serve and enjoy. Makes about 5 to 6 servings (give or take). Its hard for me to gauge because my husbands servings are bigger than most. ha!! Its hard for me to gauge because my husbands servings are bigger than most. ha! 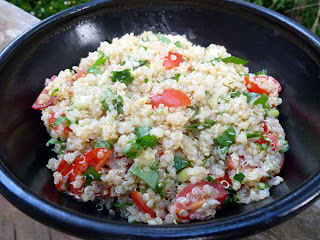 A lovely and fresh tasting savory quinoa salad, good alongside most anything! 2. Spray a 9×13 casserole dish with non-stick spray. 3. Pour the cooked quinoa in a large mixing bowl. Mix in the kidney beans, diced tomatoes, salsa, corn, 1/2 cup shredded cheese, and spices until well combined. 4. Pour mixture into casserole dish and place the remaining shredded cheese on top. 5. Bake for 20-25 minutes. 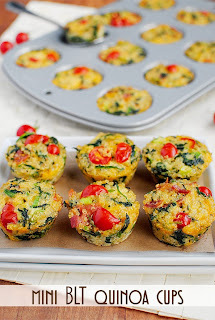 Serve with avocado and greek yogurt and enjoy! Fall is in the air!! Do you know what that means! PUMPKIN FLAVORED EVERYTHING!!! I can honestly say that I am in love with Pumpkin Spice Latte's. They are the one thing that as soon as September 1st hits I crave! But my body has become so used to eating healthy foods that when I do get a Starbucks Pumpkin Spice Latte my body does not know how to handle it. It usually turns into an awful afternoon of gut wrenching stomach pains. Therefore I choose to re create the latte in my kitchen with foods that I truly love! Nope I'm not missing out on anything and honestly I feel so much better because of it! So bring it on!! The proper carb to protein ratio to keep my body fired up for at least 2 1/2 to 3 hours until my next meal. It gives me sweetness so I don't crave bad foods. It totally keeps me healthy! Nope not sick 1x in 2 years. Lastly, it's convenient. When I'm rushing out the door with my kids, hitting the office or short on time. 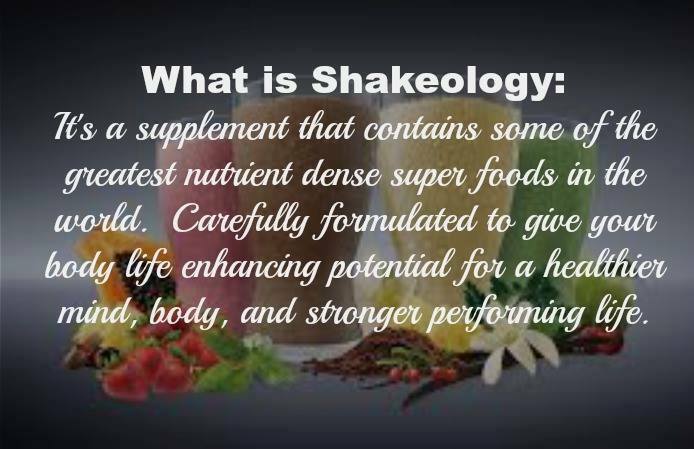 Shakeology is super easy. Less than 2 minutes and there is no drive thru temptation starring me in the face. I do I really love my Shakeology. It's not just a protein shake, it's an actual meal. I know it's a little pricy. But ask yourself this? Can you put a price tag on your health? THink about it this way. Each decision you make about your food or your life is just 1 small decision but they add up. They compound on each other to over a life time determine things like diabetes, obesity, heart disease, chronic fatigue, stress and more. 30 years from now how do you envision your life? Because the decisions you make today are going to impact the long term life you want to lead. It may seem insignificant right now, but I can tell you that one day you are going to kick yourself for not making healthier choices!! 1.Stir together the balsamic vinegar and oil. 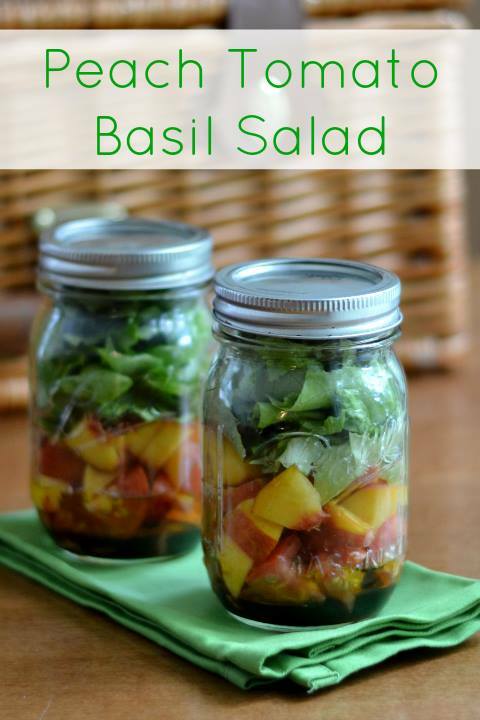 Pour the dressing into two pint-sized mason jars. 3.Place the chopped tomato and peach on top of the dressing. 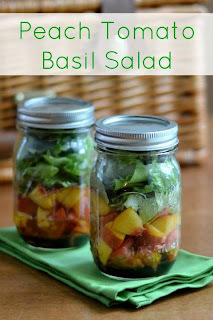 Stack the lettuce and basil at the top of the jar. 1.Begin by marinating the shrimp. Prepare the marinade by combining the chili powder, honey, and soy sauce with the juice of one lime, one clove of minced garlic, and one teaspoon of vegetable oil. Rinse the shrimp and shake off excess water. Add the marinade, stir to coat, and refrigerate until ready to cook. 2.Begin to cook the rice. Combine 2 cups of dry rice with four cups of water. Cover and bring to a boil over high heat. As soon as it reaches a full boil, turn the heat down to the lowest setting and let simmer for 20 minutes. After 20 minutes, turn the heat off and leave it covered until ready to serve. Fluff with a fork just prior to serving. 3.Prepare the seasoned black beans. Add 1 tablespoon of vegetable oil to a medium pot and add two cloves of minced garlic and one seeded and minced jalapeno. Saute for about one minute and then add the cumin. Saute for one minute more and then add the black beans. Stir and heat through. 4.Prepare the pineapple salsa. Drain the can of crushed pineapple well. Cut the red onion into a small dice. Remove the seeds from the jalapeno and cut it into a small dice. Roughly chop 1/4 bunch of cilantro. Combine the pineapple, jalapeno, red onion, cilantro and 1 tsp of salt in a bowl. Stir until combined. Taste and adjust the salt and cilantro as desired. 5.To cook the shrimp heat a large skillet over a medium flame. Add the shrimp and all of the marinade. Cook just until the shrimp is opaque and has curled up. Remove the shrimp from the skillet and continue to let the marinade simmer until it has reduced and thickened (about five minutes more). Pour the thickened marinade back over the shrimp and stir to coat. 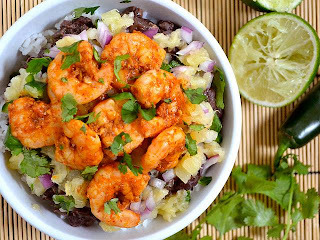 6.Build the shrimp bowls. Place one cup of rice in the bottom of a bowl. Top with about 3/4 cup seasoned black beans and about 1/2 cup of pineapple salsa. Place 7 or 8 shrimp on top. Garnish with extra cilantro if desired. Dig in! What I learned from my Cat !! Today is my Cat kid Boo's 7th Birthday and I wanted to share with you his story and how he made me realize to never give up on anything!! We found Boo a week before Halloween and he was rescued to our home and I truly feel like it was meant to be!! I had been thinking about getting another cat and I wanted a black cat but you can't adopt a black cat from September to November!! So when we found Boo I knew it was meant to be. It was September 2nd when Boo's life would change forever!! It was days before his 2nd Birthday and when my Husband woke up and went down stairs he notices the window screen behind the couch was pushed out. Ani our older female cat was sitting on the couch but Boo was no where to be found.... I'm not sure what made him push through the screen of the open window that night and sadly I will never know. He was a inside cat from the day we found him and had never been outside since. Brian woke me up and we searched every inch of the house praying he was still inside. When we didn't find him we searched outside. We walked for hours that day searching and calling his name and nothing. That night was the hardest it killed me to think that he was outside by himself in the dark. Brian was so upset he slept on the couch with the window open (screen in) waiting to see if he would come back. Day two and we were back at it outside searching all around the house. I had made copies with his picture and posted them in the area and at the local stores!! I put out an amber alert online with that makes calls to the surrounding area and lets your neighborhood know the description of your lost pet!! I tried EVERYTHING!! Calls came in and it seemed like black cats were turning up everywhere but none of them where BOO. Now I can only imagine what he had to do to survive for food, safety, and warmth because he was missing for 7 months !! September to April and it was one of the coldest winters here in PA with snow and freezing temperatures. It broke my heart and I would pray every night that we would find him. 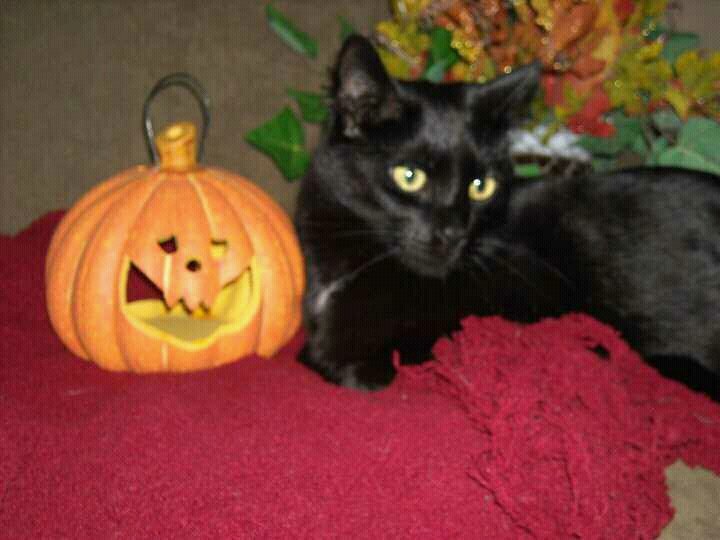 We continued to look for him every morning and every night we chased cats all over the neighborhood in search of Boo. I prayed that someone had taken him in and he had found a safe place and a new home. 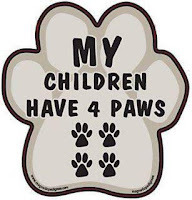 I can not have kids so my cats are my kids but I had prayed and prayed and I had given up.. But my Husband and Boo did not!! He was still out there and we had no idea but after 7 months Brian called me and he had seen a post on craigslist black cat found. I admit that when I saw this I though "here we go again" another black cat to go and look at and be disappointed when it wasn't him but I called anyway. I spoke with a women who volunteers and traps and relocates cats before animal control can eliminate them. She had found a black cat in a subway dumpster about 20 minutes from our house. I told her that we had lost a cat and gave a description of Boo he has a white spot under his chin, he was declawed and had 1 white whisker. This cat matched that description!! 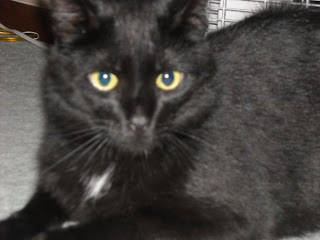 Brian and I went to the women's house and in a small room she let the black cat out and he was skinny and dirty he had to have his ear tip clipped because of frost bite and his paws where split and dry from the cold. It took him a minute to come out but he warmed up to us and I believed this was our Cat!! We brought Boo home and after the vet looked him over he was lucky to be alive!! The vet said he wouldn't of made it another month. So five years later on his Birthday safe and sound as I woke up with him in the bed by my side I thought I am so thankful for my Husband for never giving up and for Boo for being safe by my side!! The baked crab cakes are out of this world! You'll think they came from a high end restaurant. 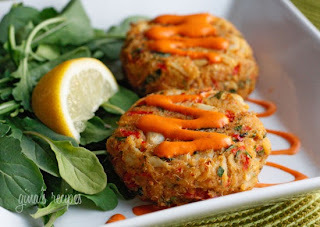 Trying to come up with a low fat crab cake was quite a challenge, but you won't miss the fried version when you taste these. The sauce adds just the right amount of heat to them, but you can adjust to your taste. Here is a healthy carrot cake muffin recipe. MADE IT LAST NIGHT AND IT WAS SUPER DELICIOUS. Combine all the ingredients in large bowl and mix together. Divide batter into muffin pan (sprayed with olive oil cooking spray). This will give you 12 muffins. 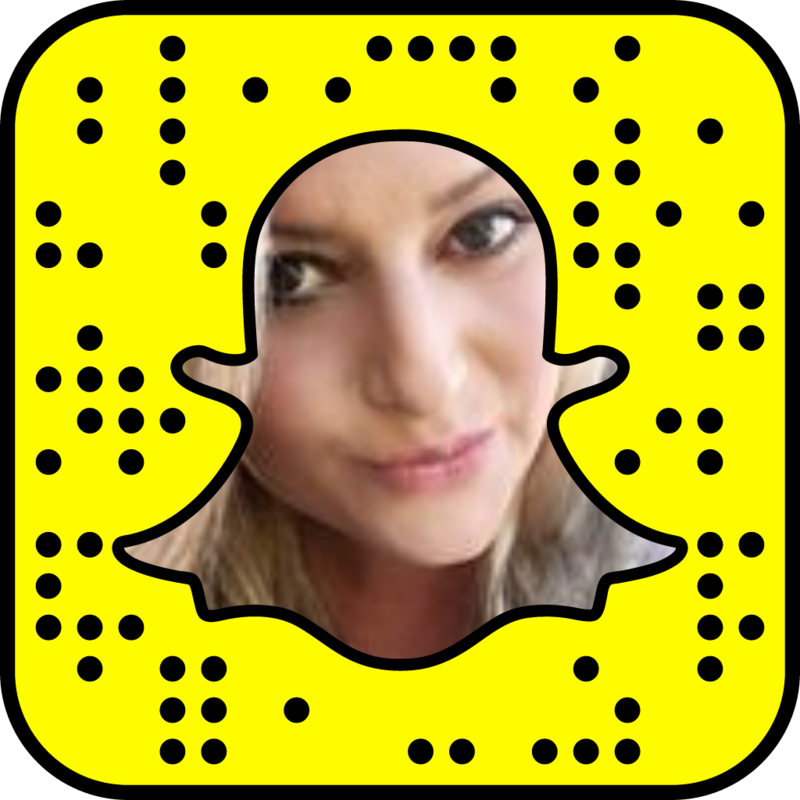 Baby Steps to Weight Loss: Setting Small Weight Loss Goals!! In order to lose weight and keep it off, you will need to change your lifestyle. Not only will you need to change how you eat, what you eat, how much you eat, and increase your physical activity, but you also need to change how you think about all of these things too. This can be quite the daunting task - after all, you are changing your entire eating and physical lifestyle, and one cannot be expected to make major changes like this overnight. If you try to make all these changes at once, you may find yourself frustrated and giving up your weight loss or diet plans before you even begin or soon thereafter. In order to avoid this problem, consider a more common sense approach to changing your weight loss and maintenance lifestyle by setting smaller goals and breaking this lifestyle change into easier to swallow bites, pun intended. Basically, instead of setting large and intimidating goals for yourself, start with smaller goals, add them into your daily routine until they become habit for you, and then slowly increase the scope of the goal. For example, if you have a goal to walk two miles per day, this might be difficult when you first start. So instead of walking two miles, try walking around the block every night after dinner. Once you have that down and it's part of your routine, add another block to it, or find a nice outdoor track at the high school or college in your town and slowly increase how far you walk each day until you finally hit that two mile mark easily and consistently. Let's look at some other smaller steps you can take to begin changing your lifestyle to a healthier and thinner one. Start small by making one positive change to your diet each day. On Monday, begin using only calorie free sweetener in your coffee. Once you are used to that, add low fat or non fat creamer instead of the full fat or flavored versions. If you are used to drinking sodas during the day, start by replacing just one soda with a glass or water instead. Then when you have cut back on the sodas, replace one more, and then another, until you have worked yourself off calorie dense sodas completely. 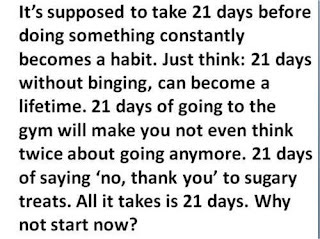 Each day, choose one new 'good' habit to replace a 'bad' habit, and slowly work into a weight loss routine that is permanent and a true lifestyle change. Make a journal for your new lifestyle so you can keep track of what is working, what is changing, and what is not working. 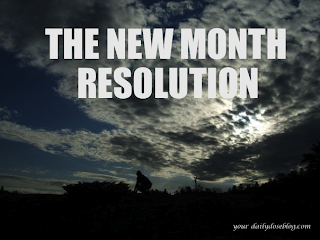 Write down everything you eat, drink, and consume and document the positive changes you are making. 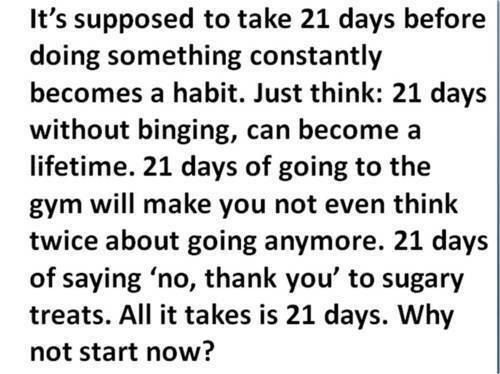 This will help you track progress and make you more aware of what your lifestyle actually is so you can change it. Set a monthly goal to reach for yourself, such as eliminating sodas from your diet completely, and then break it down into weekly action you can take to make that happen. After that, you can even break it down into daily action you can take to reach this weight loss goal. At the end of the month, use your journal to track your progress and help you set your next month's goal for weight loss and lifestyle change. The Kitchen makeover!! Buy only healthy foods to keep at home so that you are not tempted to cheat. If there is no junk food or easily accessible foods you can just grab and eat, you will find you will eat less. If you have to prepare something before you eat it, you will think before you eat and tend to only eat when you are truly hungry. Plus, getting up and preparing food increases your physical activity as well. Again, log everything in your journal and watch trends in your eating and adjust what you buy based on those trends. 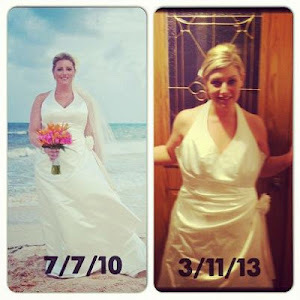 The research shows that rapid weight loss without a true lifestyle change is rarely permanent. We live in an 'on demand' society where we tend to expect results immediately, but where lifestyle changes, such as weight loss and maintenance, are concerned the only permanent solution is a slow and steady progress to changing how you view yourself, your diet, and your physical activity level. These tips won't guarantee you will lose weight, but if you adjust your lifestyle slowly, letting each new baby step become a habit before adding another one, these changes are more likely to become a permanent part of your routine and result in a true healthy lifestyle change.